Thinking back when I was a young child, I remember that one of the most important things my mom instilled in me was to treat everyone equally by showing kindness. During my preteens and teen years I spent time reading to children with developmental disabilities. I also volunteered at both the senior’s home as well as the animal shelter and helped in community clean-ups. I didn't do it because I had to. I did it because I wanted to and I enjoyed every minute. I feel that we are lacking in this in today’s world. Our children will be the next us and if we don’t set a good example for them then they may miss out on an opportunity to gain the benefits and self-gratification that comes from helping other people. Children are never too young to show kindness to others. It may mean parental involvement sometimes, something that also seems to be lacking in today’s world. 1. Smile! Yes it is an act of kindness. An easy one and does not cost anything. 3. Pick up a piece of trash lying on the street and put it in a trash can. 4. Have children go through their clothing, books, games and toys and pick out the ones they are not using anymore. Donate them to hospitals, homeless shelters, or women and children’s shelters. Note: take your children along to donate the items so they can feel a sense of satisfaction in seeing where these items end up and how they are helping other children. 5. Offer to walk a neighbor’s dog. 6. Share their snack with another student that does not have any. Remember to pack a little extra. 7. Ask an elderly neighbor if they are in need of help. 8. Read to younger children. 9. Bring a neighbor a glass of lemonade, iced tea, or soda when they are working outside. 10. When they receive a new toy donate one of their old ones. 11. Make a card or craft for a senior. 12. Sell lemonade and treats during the summer and donate the money to help less fortunate children. 1. Spend one hour per week volunteering at an agency such as a homeless shelter, animal shelter, hospital or senior’s home. 2. Spend a day cleaning up the neighborhood block. 3. Bake a dessert or bring fresh fruit to the senior’s home. 4. Recycle and donate the proceeds to charity. 5. Build a birdhouse with your child and have your child refill bird seed as required. 6. Have a yard sale and donate money to charity. 7. Give a homeless person a cup of hot coffee. 8. Before heading out to shop check with your elderly neighbors offering to shop for them at the same time. 9. Bring food to a neighbor that is ill.
10. Organize a food drive for the local food bank. 11. Organize a toy/clothing drive for the local children’s and or women’s shelter. 12. Give out ice-cream to the kids in your neighborhood on a hot summer day. The list does not have to stop here. With more time and thought we can add additional ideas. You're right. 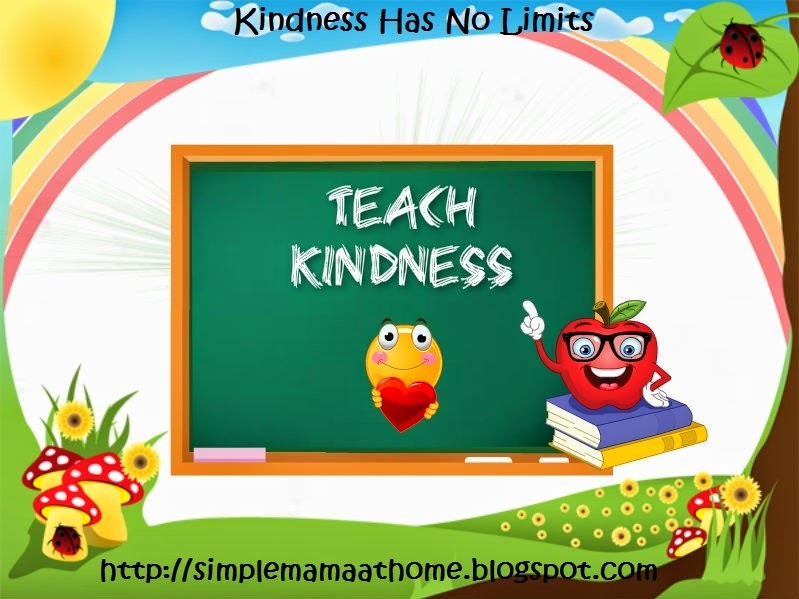 Kindness is an important lesson that can be taught to kids only with the involvement of adults around them. Great list Bismah. If more kindness was done today, it would make life so much better. I definitely love the one about "Smile". It doesn't cost a penny and it makes the giver and the receiver feel good. Yes I agree! It needs to start with the parents and extend outside the home as well (neighbors, teachers, coaches). It is so true. If we do not show kindness to others than how do we expect our children to. This is a great list! One other things my kids looooove doing is donating animal treats and blankets to animal shelters and then they get to walk through and see all of the animals. It always warms me how my daughter falls in love with the one that needs the most love and affection. She still remembers the names of the dog who was born blind with a sign that said "I need a family that will love me anyway" and the cat that was rescued as a hurricane survivor. Thank you for this reminder. Thank you so much Valerie! I am so late reading this comment. Not sure why however better late than never as the saying goes. Your list is excellent, and I'm pinning this post. I'm also a new follower via GFC, G+ and bloglovin. Glad to be here. I also volunteered in a class for students with disabilities when I was in middle school. Brings back nice memories just being able to see the kids smiling. So late reading your comment. However I always try my best to reply back to all comments. Great post, What will become of the next generation if we don't teach them to care. In my family we had started the get a gift give a gift tradition years ago, it's nice to see others giving back in the same way. You couldn't be more right. I've always made it a point to have my children see me hand money to those standing on the corner. It may not be enough, but it's something they routinely see and I see how that is helping shape my daughter's view of helping others. It's a start, and you have some fabulous ideas to expand upon. 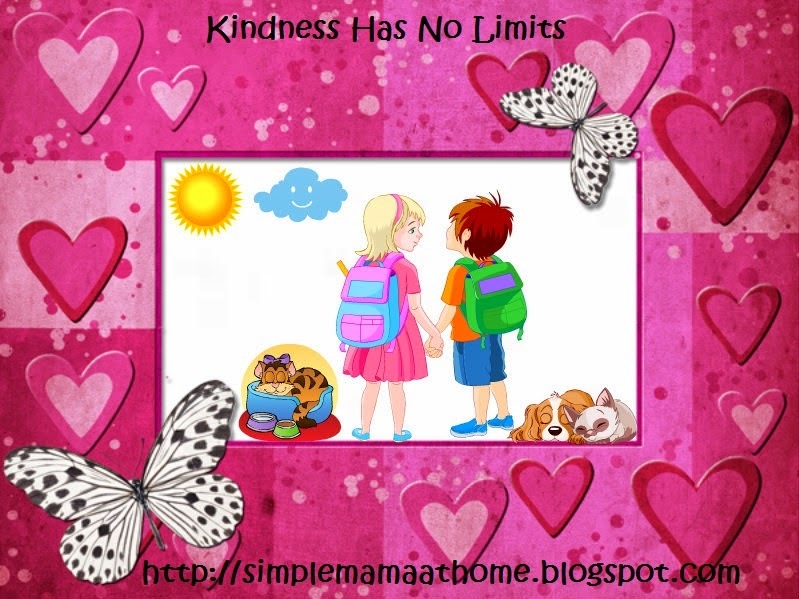 This tips are great and we can all use reminders on how to be kind. A few years ago, I was staying at a lodge in Olympic National Park and I saw an older woman coming up the walk. I stood there for about a minute, waiting for her to get to the door so that I could hold it open. When she got to me, she paused, looked at me, and said, "thank you so much for holding the door for an old lady like me. I hope that when you are old, someone shows you the same kindness." Her comment warmed my heart and completely made my day because such a simple act meant so much to her. Thanks so much for linking up with Motivational Monday! We are glad to have you! This is so helpful. I was thinking of getting fit again but for some reason I can never find the motivation to keep at it.Nice tips! I’m looking forward for my baby.